Ready for the off: GWR ‘Hall’ 4-6-0 No. 7903 Foremarke Hall with the first southbound departure from Broadway for the public since 1960. 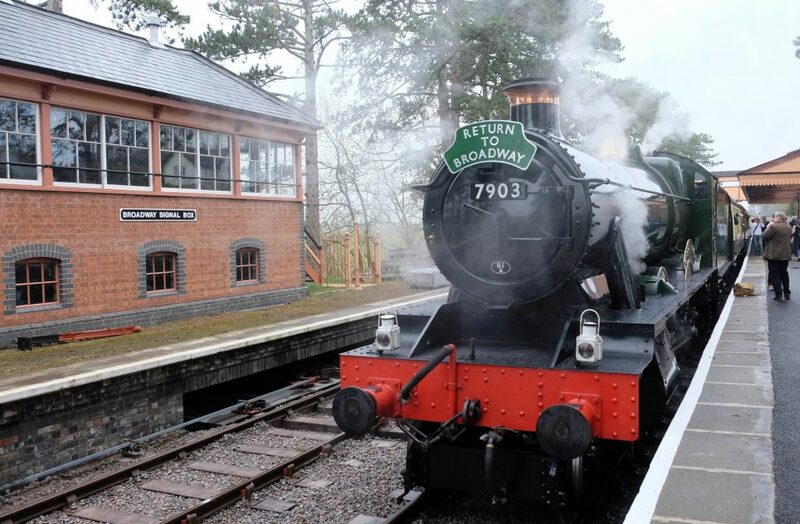 THE Gloucestershire Warwickshire Railway reconnected Toddington with Broadway on Good Friday, March 30, completing a long standing aim to take steam trains back to the popular Cotswold tourist spot after a gap of 58 years. 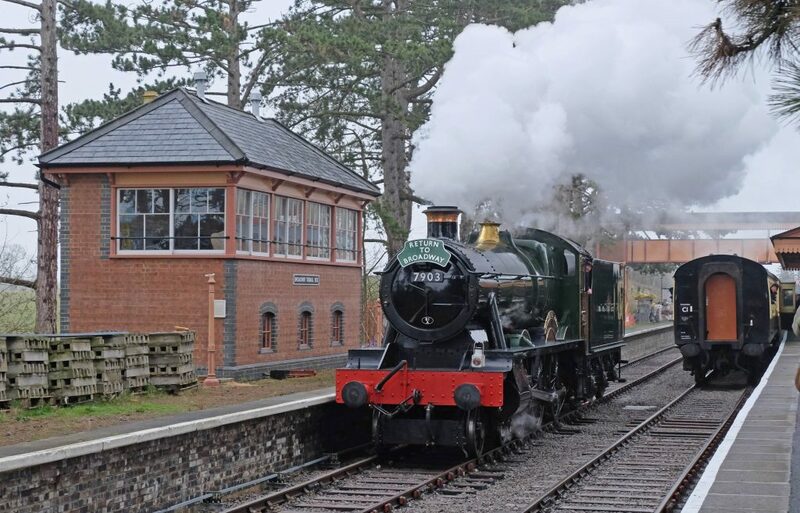 Arriving on a train from Toddington, many VIPs and the press joined volunteers and the public at Broadway where Lord Faulkner of Worcester, chairman of the Heritage Railway Association and a Patron of the GWSR, unveiled a plaque to commemorate the occasion. 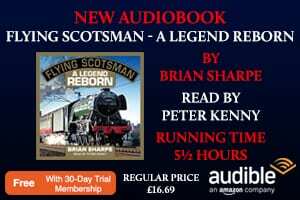 He later joined driver John Cruxon and fireman Chris Smith on the footplate of locomotive no. 7903 Foremarke Hall for the first southbound departure. It was also an emotional moment for Chris Smith, who as a youngster living in Broadway witnessed the closure of a line he though he’d never see reopened. 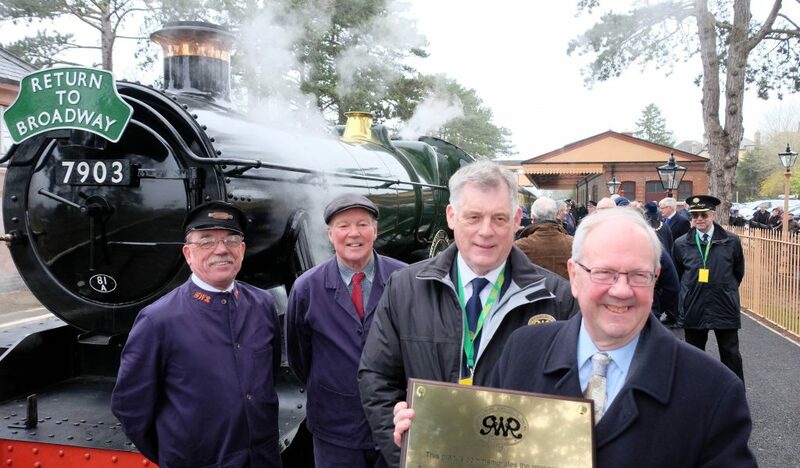 Lord Faulkner of Worcester holds the plaque to mark the reopening, behind him is GSWR chairman Richard Johnson and the footplate crew of driver John Cruxon (left) and fireman Chris Smith. 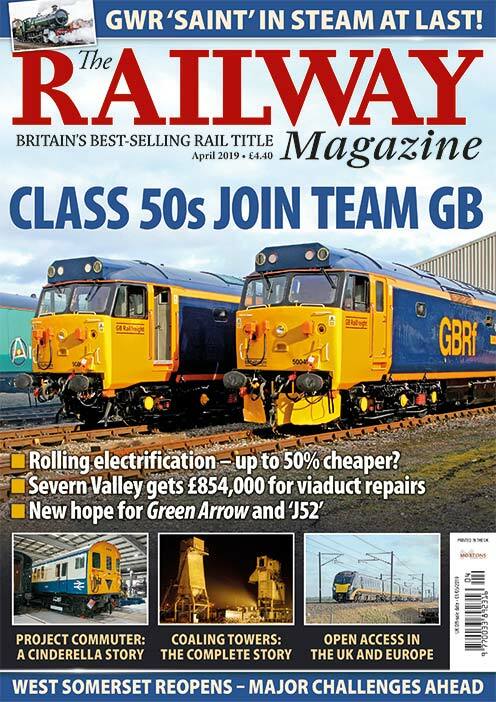 Lord Faulkner said:“Two successful share offers raised over £2 million to help fund the last stages of the project, which included repairing bridges, embankments and drainage, buying and laying the track with thousands of tons of ballast as well as completing the new station. The station site at Broadway was derelict and in 2009 volunteers started to clear the site, discovering thefoundations of the original buildings and platforms. 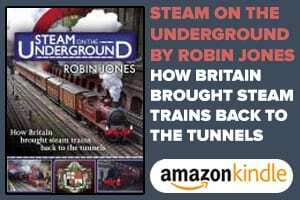 The platforms (longer than the originals) were built largely using recovered railway bricks and other materials from several locations. The design of the new station building closely follows that of the original, using similar new bricks including decorative brickwork, for example along the eaves and window surrounds. The new building is longer than the original, in order to accommodate toilets and other facilities expected by modern visitors. The footbridge – which needs the steps adding to complete it – came from further up the line at Henley-in-Arden and the signalbox on Platform 2 is a construction based on the box that once stood at Shirley. The station’s original signalbox was on the south side of the road and the new structure will eventually be open for visitors to view. The entire construction has been completed by volunteers. In January, Wychavon District Council announced its support for the railway by agreeing to fund the £560,000 cost of constructing a new 99-vehicle car park at the foot of the railway embankment between Evesham Road and Childswickham Road. This is expected to open some time during or after August 2018 and until then, there is no parking at Broadway station. Completion of the northern extension gives the railway a 14.2 mile operating line. 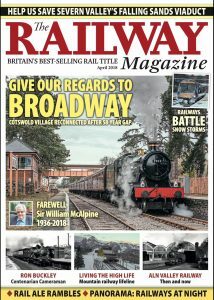 Full story in the May issue of The Railway Magazine – Broadway features on the cover of the April issue, which contains a preview of the opening.